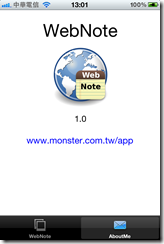 [iPhone APP] WebNote 1.0 , Simple Safari , Memo , Mail Integrated app. 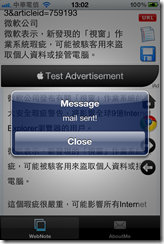 Integrated Safari , Memo , Mail in one app. 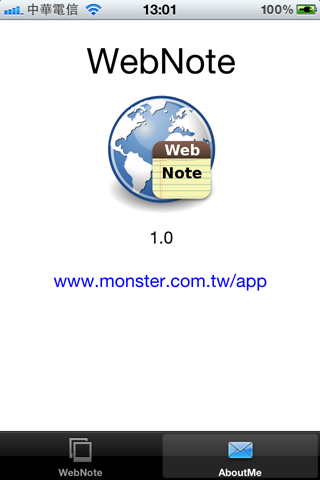 , You can use this simple app to reference web pages and make a note , then mail the note to you or mail to any email address, you can customize web startup location and search engine location in this app to suit your need. 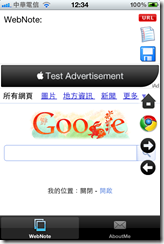 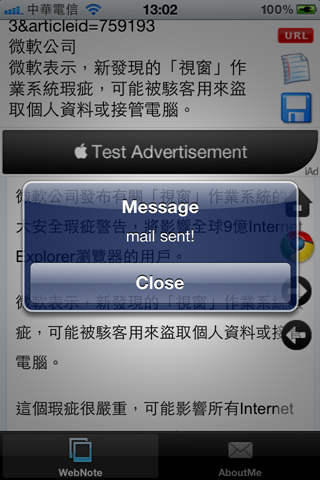 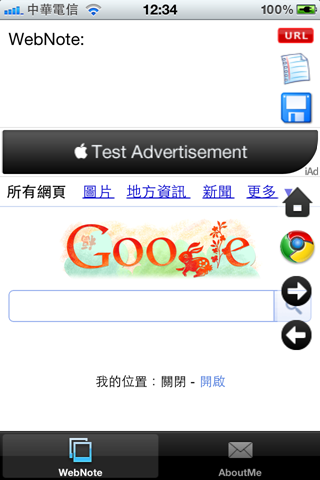 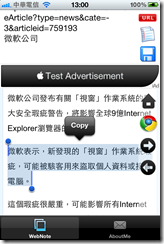 在這個 iPhone App 中我學習了： uiwebview , iAd , lunch a mail application , alert view with 2 button , uitextview , Settings.bundle …. 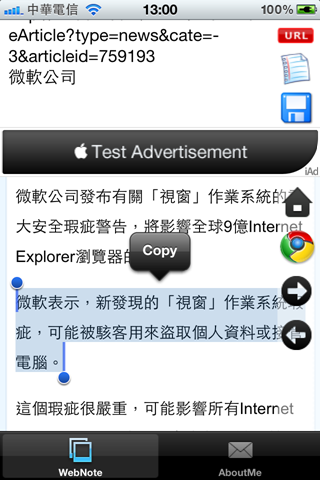 目前這個 Web Note 已經送到 Apple 去 review 了, 等有結果再來這邊 update.